Dr. Geri Kreitzer is Associate Medical Professor of Molecular, Cellular and Biomedical Sciences at the CUNY School of Medicine, Sophie Davis School of Biomedical Education. She is co-director of the CSOM core course Molecules to Cells, and leads an active research program studying mechanisms of epithelial cell polarization. 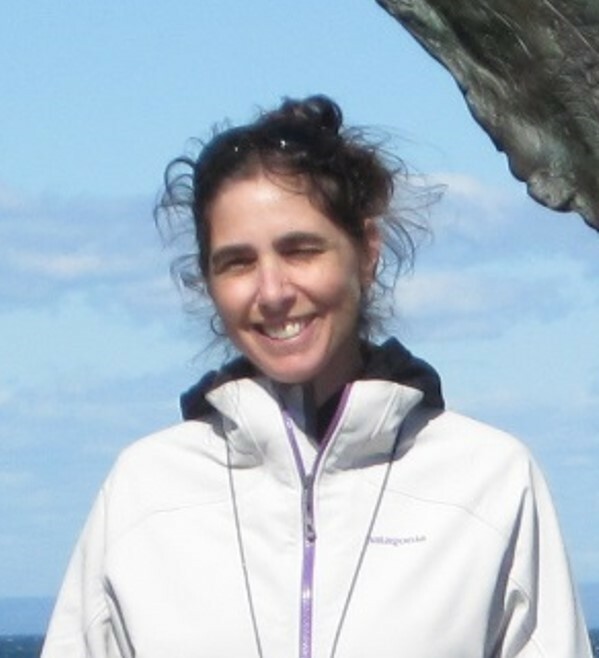 Prior to joining CUNY in 2016, Dr. Kreitzer was Associate Professor of Cell and Developmental Biology at Weill Cornell Medical College from 2003-2016. BA, Religion 1987 Emory University, Atlanta, Ga.
Research in the Kreitzer lab aims to understand fundamental mechanisms underlying changes in cell shape and function that are required for normal tissue development, and to apply knowledge gained from these studies toward treatment of disease. The lab uses cellular, molecular and biochemical approaches combined with high resolution imaging techniques to visualize discrete subcellular events and to determine the role of individual proteins in regulating these processes. Mechanisms of cell polarization: role of cytoskeletal motor proteins in structural and functional remodeling of cells. Specification of cargo selection by kinesin family motor proteins. Kinesins in the nucleus: non-canonical functions in regulation of transcription. Regulation of nuclear receptor function by kinesin in breast cancer. Wang L, Wang D, Xing B, Tan YC, Huang J, Liu B, Syrovatkina V, Espenel C, Kreitzer G, Guo L, Zhang JJ, Huang XY. G-Protein Gα13 Functions with Abl Kinase to Regulate Actin Cytoskeletal Reorganization. J Mol Biol. 2017 Dec 8;429(24):3836-3849. PMID:29079481. Seneviratne A, Turan Z, Hermant A, Lecine P, Smith WO, Borg JP, Jaulin F, Kreitzer G. Modulation of estrogen related receptor alpha activity by the kinesin KIF17. Oncotarget. 2017. doi: 10.18632/oncotarget.18104. PubMed PMID: 28596477. Acharya B, Espenel C, Libanje F, Raingeaud J, Jaulin F, and Kreitzer G. KIF17 regulates RhoA-dependent actin remodeling at the epithelial cell cortex. J. Cell Science. Mar 1;129(5):957-70. Patel DM, Dubash AD, Kreitzer G, Green KJ. Disease mutations in desmoplakin inhibit Cx43 membrane targeting mediated by desmoplakin-EB1 interactions. The Journal of cell biology. 2014;206(6):779-97. Espenel C, Acharya BR, Kreitzer G. A biosensor of local kinesin activity reveals roles of PKC and EB1 in KIF17 activation. The Journal of cell biology. 2013;203(3):445-55. Acharya BR, Espenel C, Kreitzer G. Direct regulation of microtubule dynamics by KIF17 motor and tail domains. The Journal of biological chemistry. 2013;288(45):32302-13. Nekrasova, OE, Amargo, EV, Smith, WO, Kreitzer, G and Green, KJ. (2012) Desmosomal cadherins utilize distinct kinesins for assembly into desmosomes. J. Cell Biology 195(7):185-203. Jaulin, F. and Kreitzer, G. (2010). KIF17 stabilizes Microtubules and Contributes to Epithelial Morphogenesis by acting at MT plus ends with EB1 and APC. J. Cell Biology 190(3):443-60. Xue, X., Jaulin, F., Espenel, C. and Kreitzer, G. (2010) PH domain-dependent, selective transport of p75 by kinesin-3 family members in non-polarized epithelial cells. J. Cell Sci. 123:1732-1741. Kreitzer, G., Jaulin, F. and Espenel, C., Editor (2010). Cell Biology Assays: Essential Methods. Elsevier Press. Oxford, UK. Kreitzer, G., Jaulin, F. and Espenel, C., Editor (2010). Cell Biology Assays: Proteins. Elsevier Press. Oxford, UK. Kreitzer, G., Muesch, A., Yeaman, C. and Rodriguez-Boulan, E. (2006). Studying exit and surface delivery of post-Golgi transport intermediates using in vitro and live-cell microscopy-based approaches. Cell Biology, 3rd edition. Julio E. Celis, Nigel Carter, Kai Simons, J. Victor Small, Tony Hunter and David Shotton, eds. Elsevier Press. Oxford, UK. Rodriguez-Boulan, E., Kreitzer, G. and Musch, A. (2005) Organization of vesicular trafficking in epithelia. Nature Reviews Mol. Cell. Biol. 6:233-247. Weimbs, T., Low, S-H., Li, X. and Kreitzer, G. SNAREs and epithelial cells. (2003). In Methods. K. Mostov, ed. Academic Press. Rodriguez-Boulan, E., Kreitzer, G., Cohen, D., Bonhilla, V. and Musch, A. (2001). in Tight Junctions, 2nd edition. J. Anderson and M. Cereijido, eds. CRC Press. Boca Raton, Fla.